Google Working on Cars that Drive Themselves. 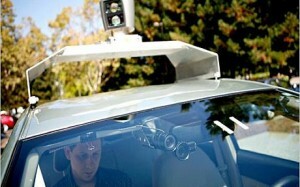 New York times reported that Google was testing a new car that can use artificial intelligence and drive itself. The car, a modified Toyota Prius with spotted between San Francisco and Los Angeles. Google has been working on the project in secret. It was reported that Google created an artificial-intelligence software that can sense anything near the car and mimic decisions which were similar to the ones a human driver would make. The car drove for thirty minutes beginning on Google’s campus. A Prius accelerated in the entrance lane and merged into fast-moving traffic on Highway 101 at the Silicon Valley. It drove at the posted speed limit as its database included a detailed map and speed limit of the area along with GPS tracking. The car left several exits later. The car drove through Mountain View and stopped for lights and stop signs while making announcements like “approaching a crosswalk”. The technology is smart enough to let you take control of the vehicle if something goes wrong or if does not know how to reach to a certain situation. 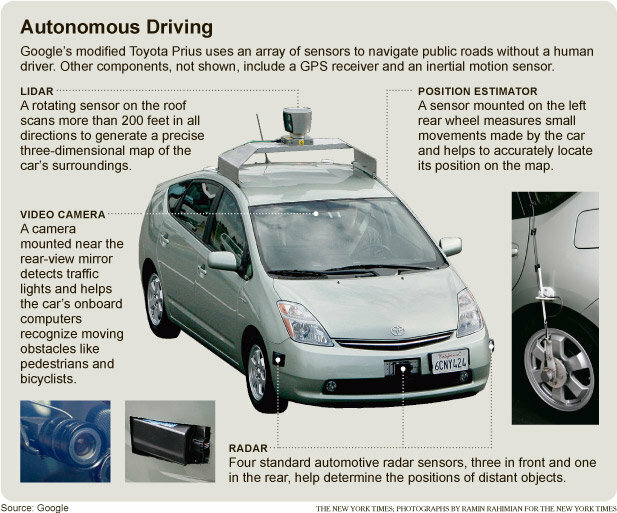 Google has already tested seven different test cars that drove more than a 1,00 miles without any human intervention. In fact more than 140,000 miles were driven with occasional human intervention. The only accident occured when the test car was rear-ended while stopped at a traffic light. Although “autonomous cars” are the future, their developement is still considered in early stages. Autonomous cars react faster than humans while having 360 degree perception and are immune to distraction, sleepiness or intoxication. If Autonomous cars were to be introduced, it would double the capacity of roads by allowing cars to drive more safely while closer together. This technology will also help make cars lighter considering that they will be less likely to crash. How does it feel to be Inside Google’s Driverless Car! General Motors and Google working together? Google reveals its Secret Product Lab – Google X! Cars Hacked Through Wireless Tire Pressure Sensors!